We participate in a variety of mission, entertainment, and social opportunities through the year, from the annual all church picnic, to Christopher House Family-to-Family Christmas, book club, Bible groups, golf outings, and more! Below are some of our upcoming events. You can also check out the calendar to see other opportunities happening at Southminster. Boys and Girls, Come Join Cub Scouting! Do you know a child who would like to join Cub Scouts? Cub Scout Pack 129 will host an informational Open House on Wednesday, April 24, 7:00 p.m. at Dryden Elementary School for kindergarten through fifth grade boys and girls (yes, girls have been invited to join!) who are interested in joining Cub Scouts. Pack 129 holds their meeting throughout the year at Southminster. 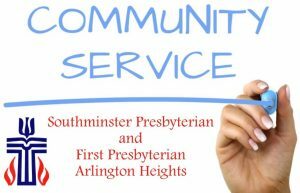 Thursday, May 2, 10:00 a.m.
Southminster’s Faith in Action team will be carpooling down to Chicago to join the Community Renewal Society in this day of prayer event. Meet in the SPC parking lot at 8:30 a.m. on May 2. 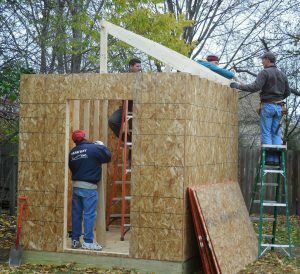 For more information or to let them know you’ll join them, email Cindy cngrnwood@gmail.com. 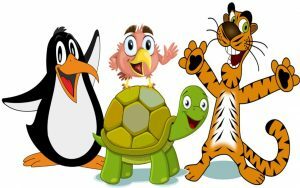 Everyone is invited to our Party Animals Family Fun Night! No cooking or cleaning, just enjoying time with your family and fellowship! We’ll begin with a buffet-style pasta dinner in the Community Room (downstairs) and then move into Fellowship Hall for animal games, crafts, decorations, and a special visit from Sue’s Party Animals, who will bring small, live animals for children (and grown-ups) to see and touch. You won’t want to miss this last Family Fun Night of the school year. RSVP by April 28 to Jill@spcah.org. Free-will donations to our Children’s and Family Ministries program are accepted and appreciated. 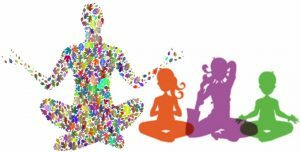 You and your child(ren) are invited to join us for a yoga class like no other. Taught by professional yoga instructor Molly Kranovich, this fun class combines partner poses, dancing, yoga, and meditation practice. No yoga experience or mats required. Just bring a water bottle and wear comfy clothes. Register on Molly’s website www.mknamaste.com/mothers-day-yoga. For more information, email Molly mollykranovich@gmail.com. Donation-based Class: There is no fee for this class. All Mother’s Day classes are donation based with proceeds going to Children’s programming at Southminster. Donations are free-will and can be made the day of the event. Are you a mom? Then you know that being a Mom is the hardest job in the world! So come join our NEW MOPS group at Southminster. All moms are welcome! Come share with other moms, make new friends, feel renewed, and learn how to “Find Your Fire.” For more information or to RSVP, please email Pastor Liz liz@spcah.org or call her 847.392.1060. 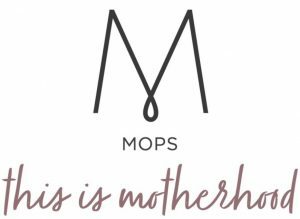 MOPS believes in the simple but revolutionary idea that remarkable things happen when moms come together. That’s why we rally women to help them become more brave, kind, and honest. So whether you are a soon-to-be mom, first time mom, or seventh-time mom, you are welcome here. Whether you are an adoptive mom, young mom, seasoned mom, foster mom, stepmom, or any other type of mom, YOU ARE WELCOME HERE! www.mops.org. Tuesdays 7:00 – 8:30 p.m.
We hope you can join us to further explore your faith journey. For more information, email Kathy Gudonis kagudonis@gmail.com. Growing in Grace invites all women to a Bible study on Marilyn Kunz’s and Catherine Schell’s book Proverbs: Wisdom for Life, beginning Tuesday, April 9 and continuing every other Tuesday through May 21. Learn practical ways to solve your problems and steady your life’s course. We hope you can join us for coffee, fellowship, and discussion. No Bible experience needed. Workbooks are $5.00. Childcare is available upon request. If you have questions or need more information, email Kathy Erickson Lievph@aol.com. We are currently discussing the 7 Big Questions in the Explore God series through March 5. We return to our study on the book of Romans on March 12. We’d love for you to join the group! We are women who enjoy each other’s company and who always welcome new faces. You don’t need any experience with the Bible or Scripture. We are very friendly and encouraging and want you to enjoy the experience of being in a relationship with Jesus Christ. At the beginning of each meeting, we visit with one another for about 15 minutes before beginning our study. We hope you will join us and learn how Christ works in your life. If you have questions or need more information, please call Jean Ward at 847.259.6255 or email jeanlward6107@wowway.com. Wednesdays, 7:30 – 8:30 a.m.
We are men of all ages with a wide range of both Bible and life experiences. Our goal is to learn more about the Bible and how each of us tries to follow Christ in our daily lives. We are very open about how and when we mess up. We trust that God’s love and grace will cover our faults and help us live lives closer to how Jesus wants us to be. If you have questions or need more information, email Keith North at kanorth12@gmail.com. We will begin studying Old Testament prophets, beginning with Zechariah and welcome all men to join us. We’re a group of men whose ages range from 30-somethings to 80-somethings, and go from experienced Bible student to the beginner. We seek to learn how the Bible applies to our everyday lives, and how we can be Christ-followers in today’s society. For more information, email Dennis or call him at 224.520.2831. Mondays, 6:00 – 7:00 p.m. The Bible Bums resume meeting on Mondays this fall, and all men are welcome to join! We provide nourishment for the mind, body, and the soul in a relaxed, casual atmosphere, discussing Scripture, enjoying fellowship, and sharing stories. We’re never sure where some of the discussion may lead, but rest assured it’s always interesting. We don’t follow a script—just Scripture! We hope you’ll join us and bring a friend. For more information, email Ed Gudonis at egud1@aol.com.